We provide Junk removal / Trash & Garbage Hauling Services in all of Las Vegas and surrounding areas. We are here to help you get rid of your unwanted stuff, trash, junk, material, waste, etc. Our service is fast and hassle free. We will do the jobs that other companies won't in a timely manner. One man's trash is another man's treasure; that is why we donate the goods to charities in order to give back to our community. Trash Removal, Property Clean Up, and Driveway Dumpsters We specialize in all types of trash removal, home organizing and property clean up. From single rooms to whole house clean outs, we have you covered. Free estimates. Rates start at $75.00. Same day service in most cases. For you DIY guys and gals out there, we offer driveway dumpsters. 15 Cubic Yard Driveway Dumpsters. Perfect for any kind of home cleanup project or remodel. Ideal for tight spaces or limited room. We can fit them into parking spaces if needed. Same day delivery available. Dimensions are 12 x 8 x 4.5 and hold 7 to 8 truckloads of debris. Prices start at $299 for a 3 day rental. Mattresses, TVs, and Tires are extra. Proudly serving: Murfreesboro, Smyrna, Lebanon, Shelbyville, Manchester, Franklin, Brentwood, Mt. Juiet, Spring Hill, Nashville, and surrounding areas. Below are a few pics of our work. Retro Junk-y is a property clearance and liquidation service. Customers who need any space cleaned out and uncluttered can save themselves the dirty and hard work when they request our services. Any size space, garages, attics, basements, storage buildings, and even entire houses are potentially over-cluttered and are wasting extra space. After the cleaning process and all unwanted items are removed, we can make a variety of improvements to the customer's space such as painting, pressure washing or resurfacing floors. In some cases our work can be done at a deeply discounted rate, so make sure to ask if your space will qualify! Cubic Hauling offers dumpster rental in Colorado Springs and surrounding areas. 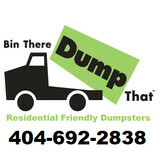 We provide residential and commercial dumpster rental. We specialize in smaller mini dumpsters that are ideal for junk and debris removal jobs that don't require larger dumpsters. We can fit our roll off dumpsters into your alley, driveway, yard, garage and other tight areas with our highly maneuverable trucks. We have 5 yard dumpsters, 10 yard dumpsters, and 15 yard dumpsters. Colorado Springs dumpsters are ideal for removing debris for construction projects, basement remodels, demolitions, estate cleanouts, garage remodels, home remodels, home renovations, junk removal, junk hauling, kitchen remodels, move ins and outs, plumbing projects, real estate new home sales prep, relocations, roofing replacement, room additions, yard waste, and more. 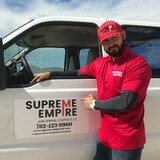 Customers of our Colorado Springs dumpster rentals include contractors, homeowners, realtors and property managers, residential remodeling and renovation firms, roofing companies, and more. We provide dumpster rental for residential, commercial, government, and industrial customers. 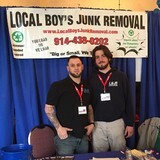 Better Bins Disposal is a residential roll-off dumpster rental service for junk removal, renovations, construction, landscaping and other jobs requiring the removal of waste and other debris. We offer a variety of smaller dumpsters (5-15 yard) with simple flat-rate pricing for residential customers and competitive rates for contractors. Kingcarz Services Specializes in Manufactured Mobile Home Deconstruction, Work is done in a mythological manner to keep work area safe and clutter free. 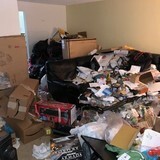 At Easy Junk Removal we specialize in removing items that are in your way. We are a division of E. W. Holdings, LLC and have over 15+ years experience. We have specialized in cleaning foreclosures, REO properties, and residential properties. We now have a division to offer the public the same type of services banks have been receiving for years. We offer free estimates and discounts are available to ALL customers!